I wanted to create something simple, modern and fun for the neighborhood that my studio is in. 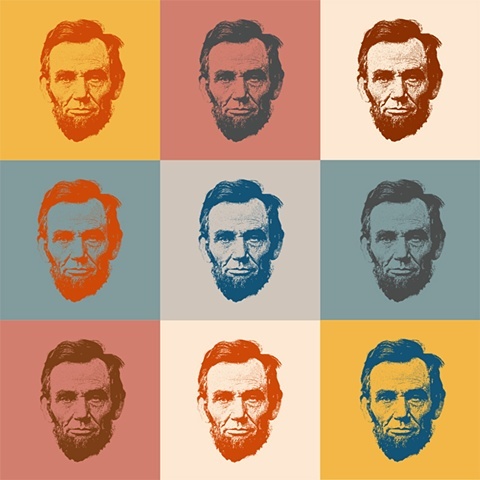 The area is called Lincoln Square, and I've printed President Abraham Lincoln's portrait shot with different color inks on various square printmaking paper that are hand trimmed. Images shown: an arrangement of nine separate prints.